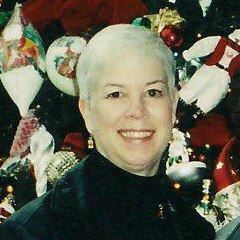 Judy Campbell Parent was called home to her Lord and Savior on Thursday, November 8, 2012. Her passing was the result of a long-standing chronic illness but was completely unexpected. She was born on August 8, 1947 in Chattanooga, Tennessee, the daughter of the late Dorothy Lawson Campbell and the late Colonel Charles Spencer Campbell, Sr., US Army (Ret). She had one sibling, Colonel Charles Spencer Campbell, Jr., US Army (Ret). Judy and Spence Jr. grew up in a military family and proudly called themselves Army Brats. Their father’s military service took the family around the world and they lived in Salzburg, Austria and Taipei, Taiwan as children and in Anniston, Alabama and Charleston, South Carolina as teens. Judy attended the College of Charleston, became a member of Chi Omega, and graduated with a BS degree in 1970. She worked for several years as a Delta Flight Attendant and, after injuries suffered during turbulent weather, she and her husband Michael owned and operated a travel agency in Grapevine, Texas. She and Mike met in an elevator in San Diego and were married at First Scot’s Presbyterian Church in Charleston in 1977. He was a career Delta pilot who retired and they moved to the NC mountains in 1996. Subsequently, they moved to Hendersonville in 2001, shortly after her mother moved here. Judy was a special person whose love of family was equaled by her care and concern for others. Her sparkling personality and deep faith enabled her to make a difference in the lives of many people. She was the apple of her mother’s eye. A visitation and celebration of life memorial service was held at First Baptist Church in Hendersonville on 30 November 2012.